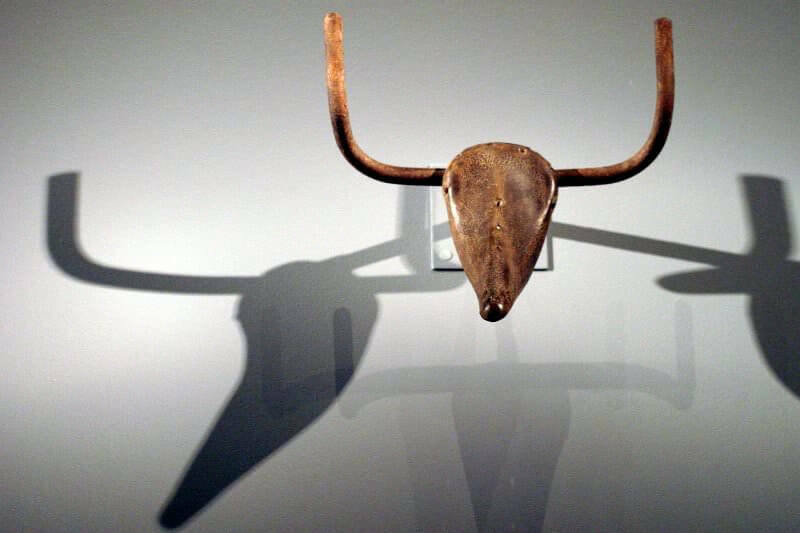 Bull's Head is a found object artwork by Pablo Picasso, created in 1942 from seat and handlebars of a bicycle. It is described as Picasso's most famous discovery, a simple yet "astonishingly complete" metamorphosis. Guess how I made the bull's head? One day, in a pile of objects all jumbled up together, I found an old bicycle seat right next to a rusty set of handlebars. In a flash, they joined together in my head. The idea of the Bull's Head came to me before I had a chance to think. All I did was weld them together... [but] if you were only to see the bull's head and not the bicycle seat and handlebars that form it, the sculpture would lose some of its impact.